Carlisle Bar Mat Brown 12 in. x 18 in. 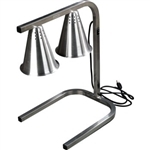 Carlisle Stainless Steel Bristle Broiler 30 in. Carlisle Plastic Sugar Caddy Black 3.43 in. 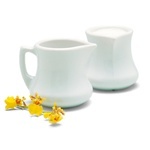 Carlisle Plastic Pitcher Creamer White 3 Oz. 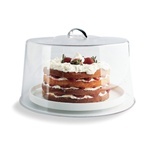 Carlisle High Pie Cake Cover Clear 6 in. 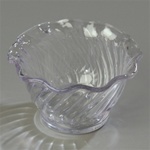 Carlisle Plastic Dessert Dish Tulip Clear 5 Oz. Carlisle Tulip Berry Dish Clear 5 Oz. Carlisle Round With Base Dispenser Black 5 Gal. Carlisle Plastic Liquid Base Dispenser Black 3 Gal. Carlisle Aluminum Slide Order Rack 36 in. 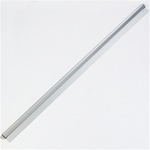 Carlisle Aluminum Slide Order Rack 48 in. Carlisle Kingline Oval Platter Tan 12 in. Carlisle Window Squeegee Single Blade 12 in. Carlisle Stackable San Tumbler Clear 5 Oz. Carlisle Pebble Optic Tumbler Clear 9.5 Oz. Carlisle Bistro Tumbler Clear 8 Oz. Carlisle Bistro Tumbler Clear 10 Oz. Carlisle Bistro Tumbler Clear 12 Oz. 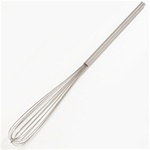 Carlisle French Stainless Steel Whip 36 in. Plastic Fluted Ramekin Bone - 4 Oz. 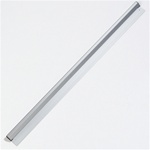 Shelf Bar Texliner Roll Black - 2 ft. x 40 ft.
Sparta Paddler Scraper With Plastic Handle White - 40 in. Gray Bus Box - 15 in. x 20 in. x 5 in. Bronco Round Waste Container Gray - 55 Gal. TrimLine Container Black - 23 Gal. Double Broiler King with Handle - 4 in. Small Bussing and Transport Cart Black - 18 in. x 36 in. Large Bussing and Transport Cart Black - 42 in. x 23 in. Clear Pepsi Tumbler - 20 oz. Clear Square Container - 2 Qt. Clear Square Container - 4 Qt. Clear Coca Cola Tumbler - 20 oz. Cateraide Combination Pan Carrier Black - 24 Qt. StorPlus Square Container Clear - 22 Qt. Sparta Double Foam Neoprene Floor Squeegee - 24 in. OptiClean All Purpose Plate and Tray Rack Blue - 19.75 in. x 19.75 in. x 4.0 in. OptiClean Flatware Rack Blue - 19.75 in. x 19.75 in. x 4.0 in. StorPlus Square Container Clear - 6 Qt. StorPlus Square Container Clear - 8 Qt. StorPlus Square Container Clear - 12 Qt. StorPlus Square Container Lid Dark Green - 2.- 4 Qt. StorPlus Square Container Lid Red - 6-8 Qt. StorPlus Square Container Lid Royal Blue - 12-18-22 Qt. Bains Marie Container White - 3.5 Qt. Bains Marie Round Food Storage Container White - 12 Qt. White Container - 12.25 in. x 15.44 in. Bains Marie White Lid - 2-3.5 Qt. Bains Marie White Lid - 6-8 Qt. Bains Marie White Container Lid - 12.75 in. Sparta White Pastry Basting Brush - 2 in. Sparta Red Silicone Basting Brush - 3 in. Round Waste Container Gray - 44 Gal. Cafe Standard Tray Forest Green - 18 in. x 14 in. Solid Spoon Black - 8 in. Molcajete Ramekins Black - 3 Oz. Fiberglass Handle with Self-Locking Yellow - 60 in. Sparta Spectrum Telescopic Fiberglass Handle Yellow - 54 in. to 96 in. A complete line of foodservice, sanitary and healthcare products for your restaurants, hotels and hospitals. Carlisle makes utensils for the kitchen, tools to make washing dishes a breeze and food storage containers.